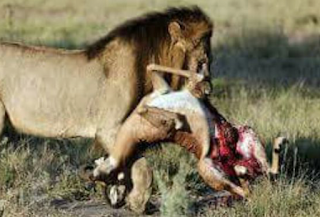 You will recall the several media publications on the killing of a Lion purported to have been on the loose in Jos, Plateau State in December 2015 under this same administration. That Lion (Asokoro) had been caged since 1972, but was shot in 2015 because the Zoo claimed not to be equipped enough to afford tranquilizers. 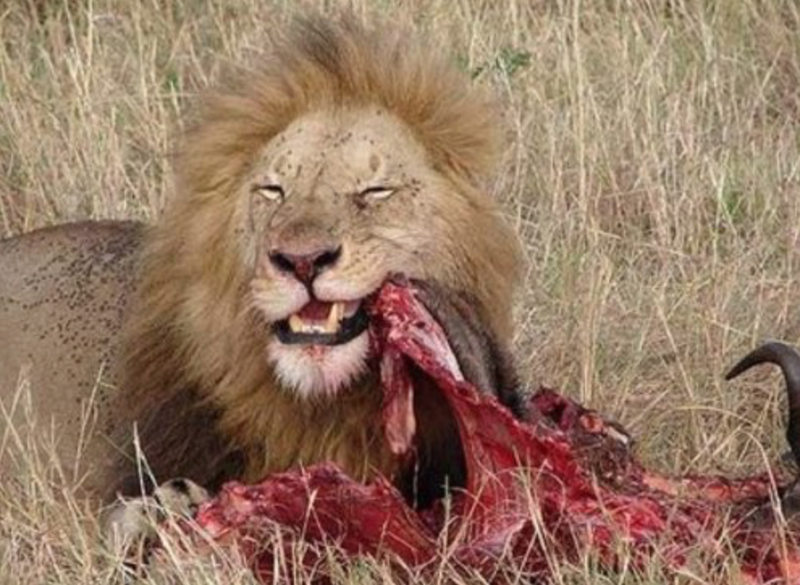 Anyways, as it turns out, facts emerging from the Jungle where Asokoro, the Lion originated reveals that Asokoro was no Choirboy, Photos have surfaced of Asokoro the Lion in act of killing and eating Gwarimpa the Gazelle. Gwarimpa was a favorite of both locals and visitors at the Yankari Games and Resort, where he delighted onlookers with his trademark leap, while clinking his heels. Gwarimpa was 12 years old and leaves his beloved wife, Maitama the Gazelle, and their 8 (unnamed) offspring. Gwarimpa’s long time friend and confidante, Garki the Zebra said “A lot of people are crying over Asokoro lately, but, let me tell you, I’ve lost a lot of friends and family to him. He was an animal. I won’t be crying no tears.” Attempts to reach Wuse the Hippopotamus proved abortive as the authorities had it under investigation already in connection with Asokoro’s antics. More details will be made available as we know more on the matter with the growing concern over the pride in Jabbi plotting to avenge the assassination of Asokoro. Those directly endangered based on the chaotic precedence are the Cattle of Gwagwalada, the Buffalos of Kubwa, the Cows of Nyanya, the Giraffes of Karu and Jukwoyi. The Mabushi Monkeys, Katampe Foxes, Mpape, Kwaru, Gwagwa and DeiDei Antelopes are also not spared as forecasted by anthropologists and ecologists. The government has summarily blamed the rising concern on the past administration while they deny all knowledge of the existence of the pride in the first place. To every impressionable mind, the killing of Asokoro the Lion for Peppersoup at the flimsiest excuse is justified because of the purported revelation of the past of Asokoro the Lion while in the Jungle. This is exactly how the media erodes the sympathy of the masses from a glaring injustice by Government and their crooked agencies. Some call it propaganda others simply term it a distraction to whip up sympathy for the perpetrators of the affliction rather than the victim. This is the disease of our democracy, the enthronement of hypocrisy in leadership. Based on this, the liberties of the Jabbi Pride will be impugned and subsequently abused for the crimes they are yet to commit as imagined by those who feel threatened by their exixtence.